ALL 3 LEADERS SAYS GOOD FOR COUNTRY WHY THIS POLITICIAN? 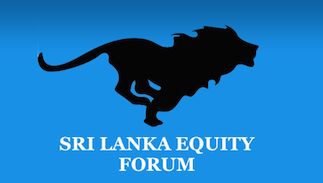 Sri Lanka Equity Forum » Stock Market Talk » ALL 3 LEADERS SAYS GOOD FOR COUNTRY WHY THIS POLITICIAN? National Freedom Front Leader Wimal Weerawansa asserted that his party would leave former President Mahinda Rajapaksa's camp if the latter decided to support the 20th Amendment to the Constitution, presented by the JVP. Weerawansa described the 20th Amendment which will lead to the abolition of the Executive Presidency as a "trap" laid by the JVP. Speaking to the media yesterday, Weerawansa said his party would not think twice before leaving the Rajapaksa camp if the latter supported the 20th Amendment. Weerawansa is a former front-line member of the Marxist JVP. President Maithripala Sirisena, Prime Minister Ranil Wickremesinghe and former President Mahinda Rajapaksa held a discussion last week on the 20th Amendment to the Constitution. Political sources said the three leaders agreed in principle to abolish the Executive Presidency. However, no final agreement has so far been reached on supporting the 20th Amendment presented to Parliament by the JVP as a private MP bill. Meanwhile, Parliamentarian Namal Rajapaksa last week said his party would support reforms that are beneficial for the country, but would not work to further the political agenda of the JVP.